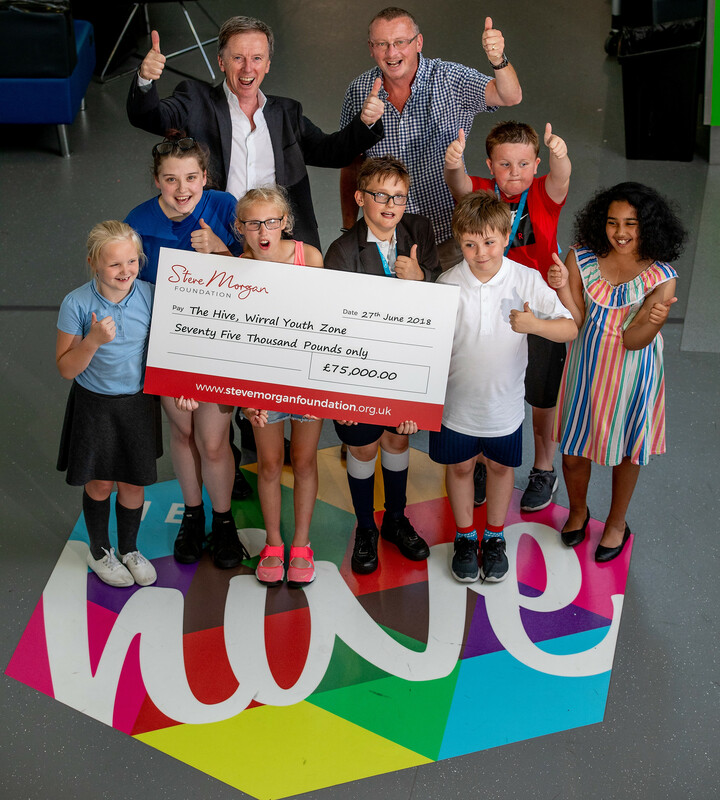 The Steve Morgan Foundation has pledged to make an impact for the young people of the Wirral by investing £75,000 in The Hive, the state-of-the-art Youth Zone situated in Birkenhead. The Foundation were instrumental in setting up The Way Youth Zone in Wolverhampton whilst Steve Morgan was owner of Wolves Football Club, and that facility has gone from strength to strength since its launch in 2016. The Foundation’s commitment to young people has also been seen by the donation of £75,000 to the Warrington Youth Zone. A similar boost to the young people from Wirral is now expected as the Wirral Youth Zone looks to improve its offering, with the Foundation also becoming founder patrons of the vital facility. The Hive had been operating since April, 2017, but this new investment will allow it to step up the activities it lays on for the area’s young people.